Herndon-based Aslin Beer Co. has opened a beer garden just outside of Nationals Park. The beer garden is adjacent to developer Grosvenor Americas new residential building F1RST, at the corner of First Street and N Street SE. 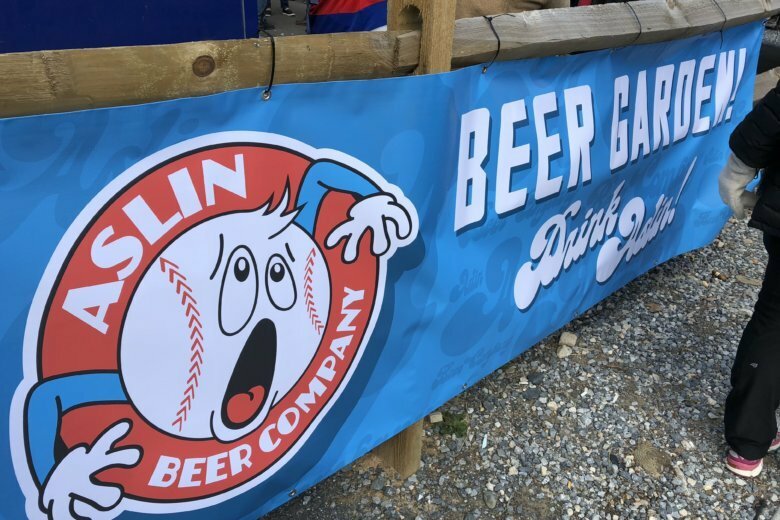 WASHINGTON — Just in time for the Nationals home opener, Herndon, Virginia-based Aslin Beer Co. has opened a beer garden just outside of Nationals Park. The beer garden is adjacent to developer Grosvenor Americas new residential building F1RST, at the corner of First Street and N Street, SE. It will be open during every Nats home game between now and July 8, plus on additional select days this summer. The beer garden will feature Aslin Beer Co.’s signature beers as well as a limited food menu. “Aslin Beer Co. is a coveted local brewery and we are very excited to help them share their exceptional product with Nats fans and the neighborhood alike,” said Jon Carr, Grosvenor’s senior vice president of development. The beer garden is adjacent to ground floor restaurants at F1RST that include Taylor Gourmet, Chop’t, Chipotle, Roti and RASA. Declaration, the first full-service restaurant at the development, also is opening on home opener day Thursday. The Nats Park neighborhood has grown considerably since the Nats home opener last year. Since then, 16 new restaurants have opened in Capitol Riverfront, with eight others coming. Two new office buildings and three new residential buildings open this month.